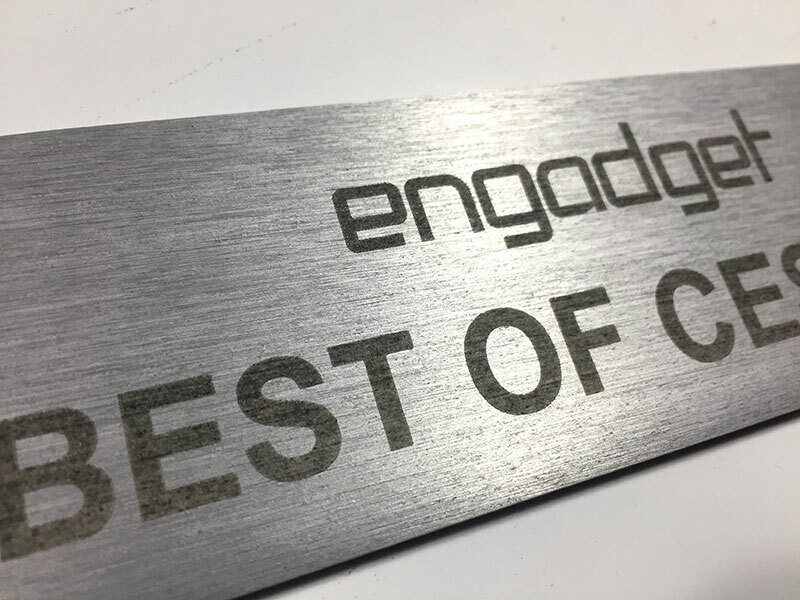 Engadget Best of CES Awards - Pure Black, Inc.
For the Engadget Best of CES Awards we did 4 layers of engraved acrylic, sandwiched between layers of 1/4″ steel. Came out pretty darn alright if I do say so. 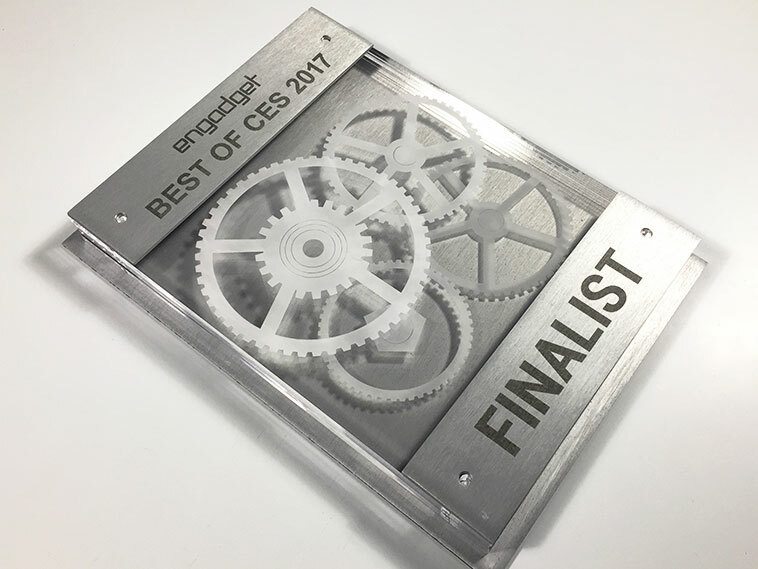 Thanks to Mike and Knickerbocker Consulting for the project.